The central theme I explore in my work is the idea of control, both in the physical world around us and within our own consciousness. Through the creation of my sculptural forms and objects, I seek to explore the nature of the unconscious mind, and create physical representations and reinterpretations of the structures of my internal mental landscape. These pieces represent a re-constructed reality that conforms to my understanding of my interior thought processes as sub-system infrastructures and networks of support systems. By taking ones innermost fears, insecurities, and neuroses and creating physical representations that can be worn or displayed, one is able to identify and establish control over the subconscious forces at play within ones internal mental landscape. 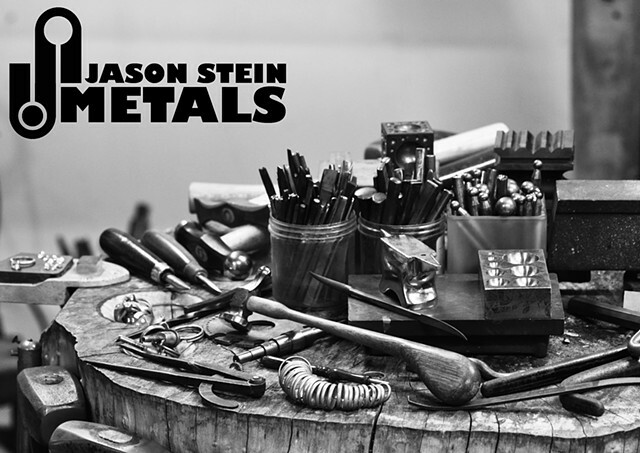 Jason Stein is a jeweler, metalsmith, and sculptor living in Matthews, NC. He received his BFA in Metals and Jewelry Design from the Rochester Institute of Technology in 2008 and received his MFA in Metal Design from East Carolina University in 2010. He works full-time as a bench jeweler and teaches curriculum classes in jewelry and metalsmithing at Central Piedmont Community College in Charlotte, NC. His work has been featured in national and international exhibitions and symposiums such as Craft Forms 2017 at the Wayne Art Center in Wayne, PA, the 4th Annual International Belt Buckle Championships, Carolina's Got Art at Elder Gallery in Charlotte, NC, State of Matter: Juried Small Iron works at STEAMworks in Scranton, PA, the International Iron Casting Symposium in Kellokoski, Finland, and the Stone/Color land art symposium and exhibition at Pedvale Sculpture Park in Latvia.